Hall of the Mountain King: Review: Paradox, "Riot Squad"
Being the thrash fan that I am, I’m almost ashamed to admit that Riot Squad is my introduction to Germany’s Paradox. It’s their fifth release, and they’ve been kicking around in various incarnations since the late 1980s. 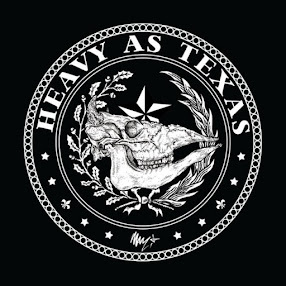 Admittedly, I was a little America-centric in my thrash listening during that time period and discovered most of the German greats a little later, but you’d think in nearly 25 years that I would have heard this band at some point. After hearing this record, I’ll definitely be digging back into their back catalog. In fact, Paradox’s sound is much more akin to the American thrashers than their German brethren. The songs on Riot Squad are much more controlled and refined than the savage fare that you’ll get from the likes of Sodom or Kreator. It’s a little less raw and ferocious, but still powerful with a more purposeful, crafted feel. There’s a heavy dose of traditional metal and even a little touch of power metal in the more melodic passages. Paradox takes its cues more from acts like Metallica and Anthrax. Speed and aggression are weapons in their warchest, but they’re not the only option. So you won’t hear any frenzied blasts of speed for speed’s sake. Instead, there’s more focus on the riff and a tight arrangement. I even hear a nod to bands like Dream Theater here and there, as in the early moments “Rise in Rank.” One of the slower songs on the record, “Nothingness,” is also one of my favorites. It opens with an Annihilator-flavored lead-in, and I like the gruffness in the vocals in the early going. “Dream Hero” hits us with a blast of Ride the Lightning-era Metallica in its verse melody, and “Planet Terror” is almost a completely traditional piece. That said, they do occasionally veer off into more German territory on tunes like “Evolution Reset,” “No Place to Survive” and the bashing album closer “Psychofficial,” where speed and controlled chaos rule. But “Evolution Reset” still retains a heavy feel of early Anthrax, and there are some power metal overtones to “No Place to Survive” that still set it apart from the other German thrashers. Guitarist and vocalist Charly Steinhauer, who I understand is the primary unifying force between all the incarnations of Paradox, is certainly the glue on this record. Big guitar riffs are the centerpiece and his vocals are front and center. To be honest, I would occasionally like to hear just a little more grit in his voice. He reminds me a bit of Joey Belladonna in that he does a good job, but sometimes the vocal approach seems to be a little too light for the song, leaning a little more toward the power metal end of the spectrum. He’s surrounded himself with quality musicians and it shows here. 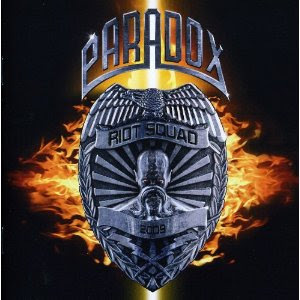 I can’t say how Riot Squad compares to Paradox’s past records, though I’ll remedy that soon. But I can say the record would be a good pick-up for anyone who enjoys the more melodic and controlled side of thrash.